Though for years I’ve been trying, I’m now resigned to the fact I’ll never forget my first sermon. It was the summer of 1996, and I had been invited to preach at a women’s halfway house. I spent the week frantically trying to create a sermon. Having no assistance from others, and even less expertise, a sense of desperation came over me. I jotted down all the preacher jargon I knew, my favorite Bible verses, a few life observations, a couple of college basketball illustrations, and my personal testimony. I learned the hard way: such a menagerie does not a good sermon make. Thankfully, as far as I know, no recording of the attempted sermon exists. In God’s kind providence, he brought a series of individuals, resources, and role models into my life shortly thereafter that formed my understanding of what a sermon is to be and accomplish. Yet, over the years my preaching has evolved, as well it should have. My basic convictions about preaching have changed little, if any, over the past 15 years. Theologically, I am absolutely convinced of the power of Scripture to save, the sufficiency of Scripture to mature the believer, and the necessity of preaching the whole counsel of God. Methodologically, little has changed either. Thankfully, while cutting my teeth in ministry I was exposed to strong, biblical exposition. Given my belief in the truthfulness and trustworthiness of Scripture, it resonated, biblically and logically, as the preferred way to preach. I learned biblical exposition in person from Steve Lawson, and to a lesser extent, Stephen Olford. From a distance, I learned from the sermon tapes of John MacArthur and Adrian Rogers. Therefore, early in my ministry, I became committed to explaining the text and bringing it to bear on God’s people, even if I lacked the experience to do it well. Though these theological and methodological convictions have long since been settled, I can trace at least four ways my preaching has evolved. Early in my preaching, I spent an inordinate amount of time on the sermon outline itself. I took it as a settled fact that the preaching gods found favor with a snappy, alliterated outline, almost as though spit-shined sermon points was the sine qua non of good exposition. One should work to ensure the outline is faithful to the passage’s structure and that it helps the listener understand the text and follow along with the sermon. I did something different, however. In fact, I’m embarrassed to confess, I often spent more time laboring over the sermon outline than I did the actual meaning of the text. Time expended polishing an outline could be better spent checking cross- references, praying through the passage, pondering more precise application, and other efforts that strengthen your knowledge of the text and the preparation and delivery of the sermon. Like every other preacher alive, each year my library grows with more and more books. I acquire books on a near daily basis, and I devote a significant portion of each day to reading them. Yet, every year I seem to use them less and less for sermon preparation. This is not an anti-intellectualism screed. Far from it, in fact. I spend more time reading books now than at any prior season of my life. When it comes to sermon preparation, a decade ago I would check every commentary I could access, peruse every illustration book I owned, and surf the scriptural indexes in my systematic theologies. I still rely on books, and especially on commentaries, but I now spend considerably more time in the Bible itself. I read and reread the passage and its broader context, looking for insights, making observations, seeking to grasp the forest and the trees of the passage. Moreover, I pray through and meditate on the passage. In so doing, the sermon—and the preacher—are better prepared. One might occasionally strike illustrative gold by rifling through sermon illustration books, but that time would likely be best spent in the passage itself. For the preacher, family illustrations are money in the bank. Church members, and especially senior adults, enjoy stories about young children. Such stories can be endearing to the congregation, giving them a sense of closeness to their pastor and engendering stronger relations with the flock. Yet, in many congregations, there is an intrigue with—an almost voyeuristic interest in—the preacher’s personal life. As a father of five young children, life is like an artesian well, overflowing with humorous moments easily retold as sermon illustrations. However, I do much less of this than I did earlier in my ministry. I’ve found that family illustrations can actually distract from the passage rather than illuminate it. If not careful, over time my listeners can learn more of Anne-Marie and Caroline than Paul and Jesus. I want my listeners to know Mark, John, and Peter more than William, Alden, and Elizabeth. Additionally, I noticed such illustrations often trivialized the sermon and the preaching event itself. It’s just hard to press upon people the seriousness and urgency of following Christ if they’re still chuckling over a dirty-diaper story. 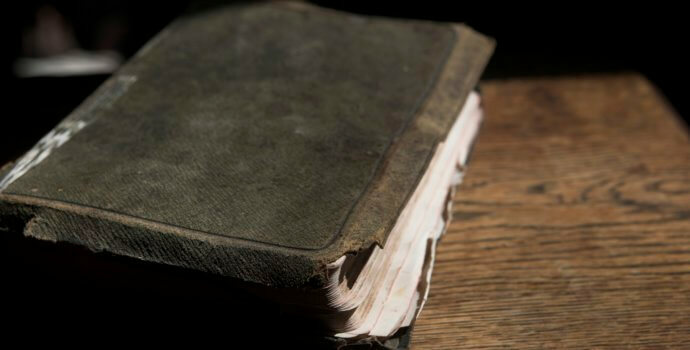 Early in my ministry, in my attempt to be faithful to the specific text under consideration, I often failed to connect the passage to Christ. In fact, depending on the sermon series, I could go weeks preaching “synagogue sermons,” messages devoid of explicit and substantial references to Jesus. Perhaps it was pride, but I would think sermons that constantly referred to the gospel were repetitive or even shallow, a dispensing of milk when mature believers needed meat. This, too, has changed. Part of this I attribute to a fuller understanding of Scripture, that indeed it all points to Christ. Some of it came intuitively as I understood more clearly how much my congregation needed to hear the gospel. The Scriptures point to Jesus, the lost need to receive Jesus, and the saved need to be encouraged in Jesus. Moreover, as I preach Christ, I find my heart sails— giving added passion and intensity. It is just hard to mess up a sermon that exalts the Lord Jesus Christ. I’ve never been more convinced of the urgency of preaching the text, the need for a broad-based recovery of biblical exposition, or the consequence of the preaching act itself. These convictions have long-since been settled. I now know a faithful preacher is a growing one. He grows in his knowledge of Christ, his knowledge of Scripture, his knowledge of self, and in the art and science of preaching. If you can’t point to ways your preaching has evolved over the years, it could be you were exceptionally gifted from the start, or it may mean you’re still preaching junior varsity sermons. I’m grateful to God my preaching has changed over the years and pray it never stops changing. Has yours? Thank you for this. Wonderful.